You may contact us by mail, phone, fax, or email. For general inquiries or comments, simply complete and submit the form below to send an email. Check availability online to see specific RV sites or cottages available during your anticipated stay. We look forward to hearing from you and we will get back to you as soon as possible. There are four ways to contact us: form, call, text message, or email. If you do not hear from us within 30 minutes please send a text or email. Call (541) 247-9203 to reach the front office. CANCELLATION POLICY : Deposits are non-refundable. No Refunds on early departure. Passport America and or any 50% discount program are due in full at time of booking and are Non Refundable. Site assignment is not a guarantee. RV RATES are for 4 people and 1 pet. Extra guests, $5 daily, Extra dog $5 daily. Cottage rates are based on occupancy of 4 persons. Extra guest $15 daily, dog $15 daily, under the age of 6 Free. No cats in cottages. Obey the 7mph Speed Limit within the resort, NO exceptions. Restrooms, showers and laundry rooms are for our guests only. For the convenience of all guests promptly remove your laundry and leave the laundry room neat and clean, cleaning out the lint traps, removing all and any personal items such as clothes, soaps, shaving equipment etc. Oil changes and or vehicle repairs not allowed within the park. All units must be registered in the name of the occupant. NO street parking. Extra vehicle parking available in overflow area at no charge. Sewer connection devices must comply with regulatory requirements set forth by the State of Oregon. All campsites will remain uncluttered. Storage of any type is prohibited. Clothes lines are not permitted. No tarps. Campfires are allowed but only in the designated fire pits. Refer to rules on resort map. Your stay will be calculated at a daily, weekly or 30 day rate. Turtle Rock RV Resort are not responsible for lost or stolen items. Keep your personal items secure when not in use. Guests agree that at the end of the term of this agreement, the guest shall immediately move his or her RV out of the park. The guest also agrees to abide by all resort rules and regulations set forth herein, as well as those posted and or distributed, plus all of the terms of this agreement. Guest shall be responsible for all damage caused by guest or any of the guests or visitors they have visiting. These rules are strictly enforced. Failure to comply with any of the above mentioned rules will result in immediate removal from the resort and all monies paid will be forfeited. *Current reservation rules subject to change without notice. For your health and safety, your space must be kept clean and free of debris, electrical cords, hoses, or other items that can present a hazard to yourself and or others. 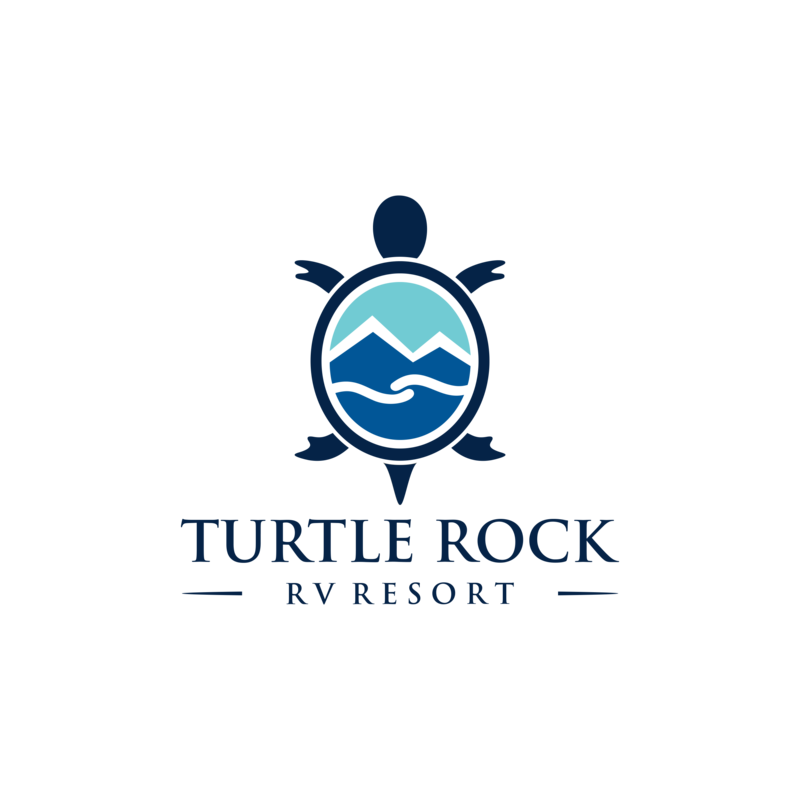 Turtle Rock RV Resort is not responsible for any accidents or injuries to any person while on campground property; for any lost or stolen items; or for damage to vehicles, RVs or personal property. If you have any questions please inquire at the reservation office. Turtle Rock property is privately owned. We reserve the right to refuse service to anyone. The guest accepts privileges with the understanding that guest does hereby release R&R Family Properties LLC, its officers and employees against claims resulting from loss of any kind or damage to property or injury to guest or any member of the family or guest of the registered guest arising out of the use of resort facilities. Disorderly, ill-mannered conduct or drunkenness will not be tolerated. Parents or their guardians are responsible for children's behavior at all times. All park occupants and guests must comply with federal, state, local laws and park rules. WIFI & DSL: Turtle Rock RV Resort provides complimentary unsecured WIFI and DSL network service to guests on an AS-IS basis and assumes no liability as a result connecting to the service. Guest use of WIFI system at own risk. Bandwidth limited to surfing and emailing on park WIFI. OCEAN/SHORE HAZARDS: For your safety be aware of high sneaker waves, deep water, outgoing currents, overhanging cliffs, falling rocks, drift logs in surf. WARNING: No Lifeguard on duty at creek or ocean. FISHING: Allowed on resort property only at east end of Hunter Creek Loop bridge during fishing season. No fish cleaning in park. Use fish station at the port of Gold Beach. All rentals are NON Smoking. Renters are fully aware that tobacco odor, smoking paraphernalia found inside cottages will result in mandatory minimum cleaning charge of $250.00 for cleaning and painting. Renters further agree and authorize R&R Family Properties LLC to charge Renters credit card account for any and all damages or missing items belonging to rental or any extra cleaning, and damage to park or rental and authorizes charges to Renter's credit card. Cottage spa(s) and RV Spa(s) are private and are not for public use. I HAVE READ, UNDERSTAND AND AGREE TO COMPLY WITH ALL THE R&R Family Properties LLC'S RULES AND REGULATIONS AS POSTED IN THE OFFICE AND/OR ON THE PARK GROUNDS/LITERATURE. Rates subject to change. Children are welcome with an accompanying adult. Children age 5 and under stay free. Pets are welcome. Cottage Dog Fee $15 per night per dog. Max 2 dogs in cottage. No cats in cottages.